How exactly do we deal with invasive species? If you know where to look, there’s a delicious beer-battered lionfish recipe out there just waiting for you to try. In fact, there are a couple hundred marine biologists who’d love for you to try it as well. This Indo-Pacific marine fish is venomous, highly territorial and dangerously prolific. It represents one of the most threatening modern exotic introductions, displacing native fish across Florida waters and more recently, Caribbean coral reef environments at a disturbingly rapid pace. If we know lionfish and other invasive species are causing enormous ecological damage … well … what the hell are we going to do about it? Last Sunday night a competition between over a thousand hunters ended in the Everglades. $1,500 to the person who bagged the most and $1,000 for the longest. This competition was organized to address the impact of another equally threatening invasive predator, the Burmese Python. Like the lionfish, this introduced reptile has altered the ecological structure of extremely valuable Florida environments. 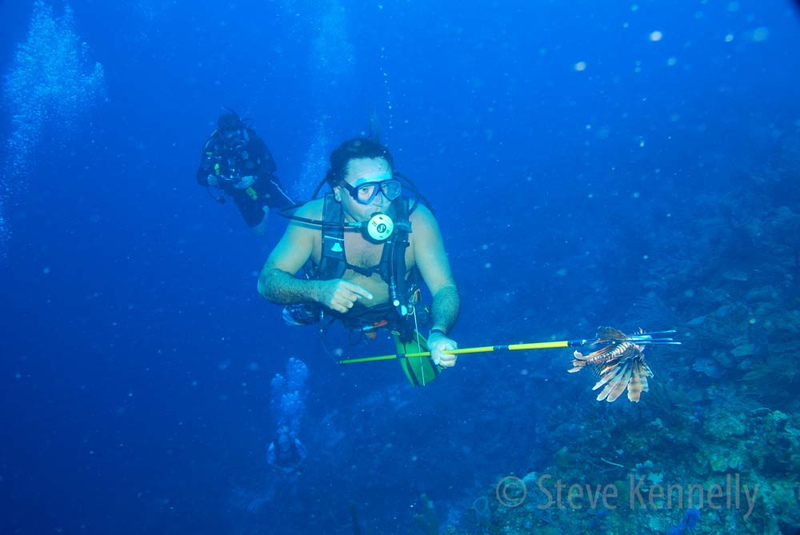 Can similar eradication projects be organized to target lionfish? In fact they’ve already begun (see Lionfish Derby) and most state governments actively encourage divers to spear and kill lionfish found in local waters. While these programs certainly raise awareness, hunting practices must be able to significantly reduce populations in order for us to make headway. There’s a reason the 12ft 500 pound Moa went extinct after the first humans arrived to New Zealand in 1400 AD. This massive bird was tasty, defenseless and easy to kill in large numbers. Many of the invasives we are dealing with today are by their very nature, however, quite different. The Asian shore crab is a good example. This two inch opportunistic crustacean is rapidly outcompeting native crab, fish and shellfish species along the entire Eastern Coast. Is it a good strategy to try and reduce this invasive population through consumption? Eat the Invaders believes so, an organization dedicated to providing recipes for common North American invasive flora & fauna. Even with our cooking instructions in hand though, a market for these invaders must first exist. 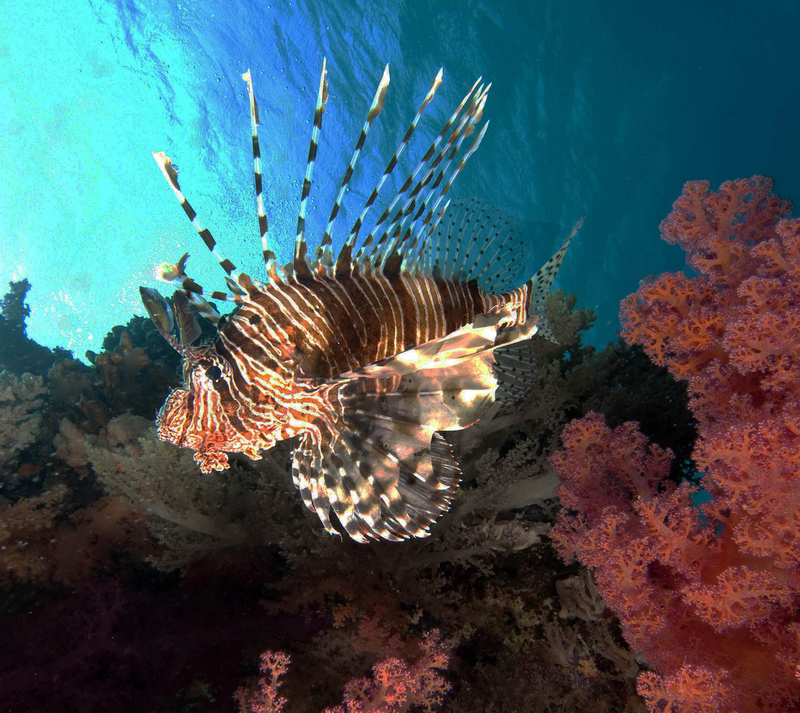 In the case of the lionfish, studies have shown that hunting is not a feasible option for controlling the population – divers simply can’t collect enough to halt their expansion. At least 27% of the invasive adult populations would have to be killed monthly, a task that could only be achieved by bringing in a trained ‘lionfish’ hunting corps. Commercial catch for consumption has similar complications, all pointing to the end fact that lionfish collection just isn’t economically viable. So knowing what we now know …. if we do choose to embrace, are we damning native diversity by accepting the permanent presence of invasive species? As citizens and scientists approaching the lionfish invasion, we must decide on achievable conservation goals. If we agree to restore Florida and Caribbean ecosystems to their natural state, what exactly do we mean? Is it possible to return all flora & fauna to their pre-lionfish condition? The question of defining baselines for restoration remains a hotly debated topic, one that is changing ever more rapidly as we realize the ecological implications of future climate change. In the design of programs to address lionfish, we can accept their presence without ‘giving up’ on the health & diversity of these valuable ecosystems. I believe our response to all invasive species should include three major goals: avoid future introductions, mitigate current ones and set effective conservation management that promotes the functioning and resilience of altered ecosystems. We must move our focus from restoring to some historical baseline to protecting these ecosystems as they currently exist and more importantly, as they continue to change in future. As Matt Palmer, a community ecologist at Columbia University, wrote in a recent post on exotic species, “language about fighting to put things back the way they were is probably less useful than language about adapting to a changed environment.” The ecological history of our planet has been defined by change, alterations in climate that have brought new environments and new species to inhabit them. As we realize our role in introducing damaging invasives and in hastening global climate change, we must focus on what is possible – adapting for the future.